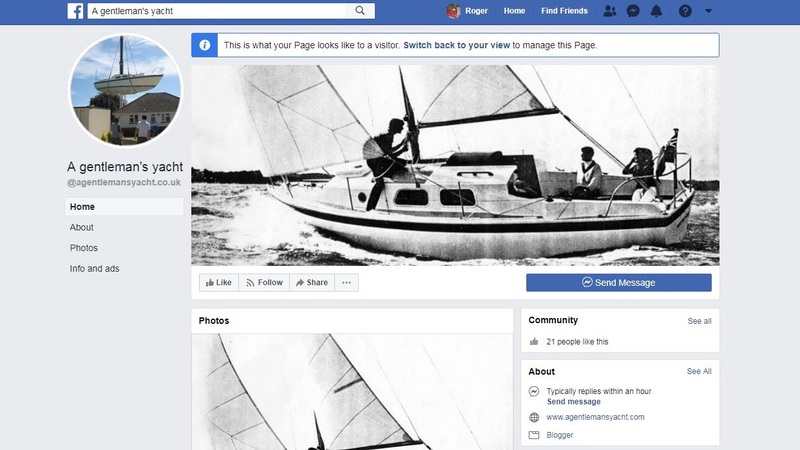 Now Google Plus is dead, I've provided links to the originals on my facebook page, the link is now changed on the right called 'Photo Album' I've done it year by year as to link to several hundred albums will take forever. I will eventually set up a site for the albums independent of Google, FB etc as i can't keep doing this every few months. If there's any specific pictorial information anyone wants, message me and i'll dig it out. Glad to see you are still keeping up your invaluable site. Too much information to be lost. I started back on my Centaur project in November 2018, after a 2 year hiatus. Too far into it now to not complete it, but still about 2 years before launch. I have lost track of the he original waterline. I am getting close to finishing fairing the bottom. Could I bother you for a vertical measurement from the bottom of the keel to he top of your boot stripe at mid-keel? I think I can use a rotating laser from there. Thanks for your help and inspiration. Good to hear from a fellow Centaur builder. I definitely needed the break i was losing my mind. Its been about two years for myself since i did anything on the boat. But the same as you: i'm in too deep not to finish so it'll get done. Just came back from a walk along the beach and seen a load of boats out which got the motivation going again. Just gone back through my posts as i did mine with a laser, i measured down from the underside of the teak strake vertically in the middle of the transom and at 760mm (30") is where the water meets the hull. At the stem again measuring directly under the stem fitting down 1270mm (50") is where the water meets the hull there. I've taken a midship keel to waterline measurement and get a figure of 1075mm, (42 & 5/16") interestingly that's nowhere near the design draft of 3 foot. The stem and stern measurements i took from a handful of Centaurs scum lines (actual water marks) that hadn't been pressure washed off the hull instead of the actual anti-fouling line which tended to be about 100mm higher than that. From memory there was a deviation of around 20mm, (3/4"). I remember one centaur so nose-heavy the transom was clear of the water so a lot depends how the boats are trimmed i guess but overall the measurements (apart from that boat) were very close to each other. P.S. I looked for you a while back on the web and couldn't find you, send me a link to your site when you have the time and i'll post it in my 'links' section.